I find her wake in bed reading…a lot. She comes by it naturally. 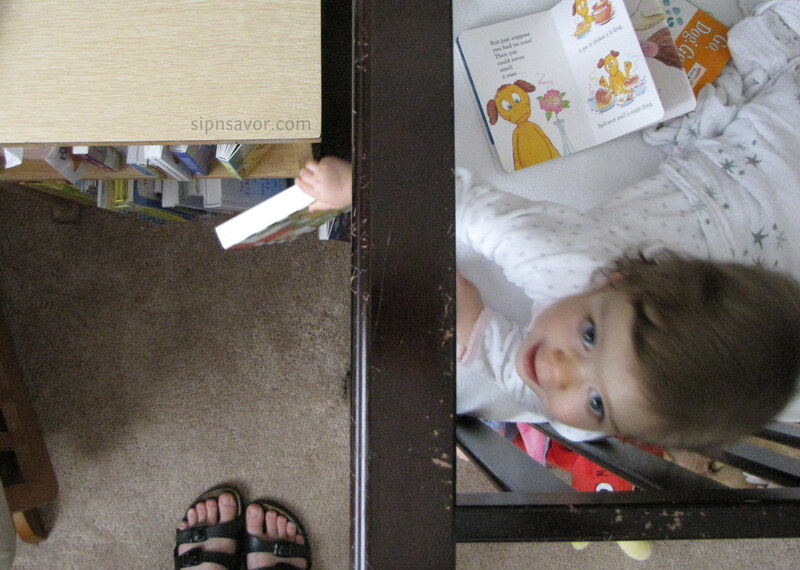 Recently she showed me how she gets those books into her crib. 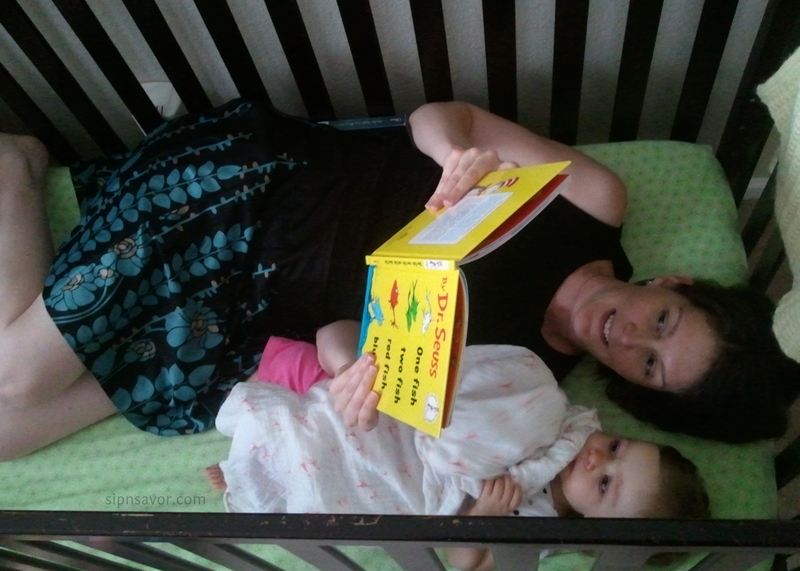 And as requested….Huzband finally caught the two us reading in bed together. This is not a common occurrence, but who doesn’t like to wake up with a little Dr Seuss?